Minor cuts, bruises, and scrapes may develop into more serious problems if not treated right away with quality Wound Care Products. If left untended and neglected for a longer time, these wounds may turn into infections which can later cause intense problems. 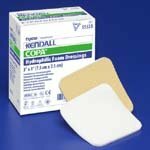 Sportaid.com offers all types of Wound Care treatment products to help you prevent infection and scarring of wounds. Wound Care Dressings, Hydroactive Gel, Hydroactive Paste, and Sugical Wound Care Tape are just a few of the many wound care products you might find useful. Browse through our quality selection of Wound Care Products below or feel free to call 1-800-743-7203 for expert assistance. Select from the top manufacturers and save big with Sportaid.com's everyday low prices. Shop wisely at Sportaid and save up to 47% on Wound Care Products! The outer layer of skin is called the epidermis. A wound is a break in the skin. 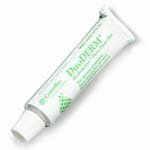 Wounds can be caused by cuts, scrapes, and similar disruptions of the epidermis. There are different treatments for the different types of wounds. How wounds are treated depends upon how they happen and how serious they are. All tissues heal with some scarring. The object of proper wound care is to minimize the possibility of infection and scarring. Sportaid.com offers all types of wound care treatment products to help you prevent infection and scarring of wounds. 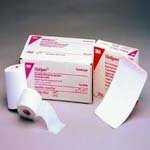 Wound Care Dressings, Hydroactive Gel, Hydroactive Paste, and Surgical Wound Care Tape are just a few of the many items you might find useful. Whether you are a new customer or someone who has been with us for a while, we guarantee satisfaction. After over 25 years in the business helping people find the appropriate Wound Care Products at the lowest prices, we continue to lead the industry! We are capable of beating any competitor's advertised price with a competitive collection of wheelchair cushions, wheelchair parts, and wheelchair accessories, just call! Our customer service staff has over 50 years of experience, plus over 90 years of combined wheelchair use experience. We look forward to working with you!